Your powers are the result of the army experiment. 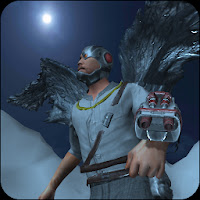 Now you have wings, as well as a flamethrower and a freezing grenade launcher on your arm. Strife with crime or just have fun on the height and on the ground. Become an angel of war or a crazy demon! Start epic action with our extreme simulator!